CLAT Merit List 2018 or CLAT Seat Allotment Result 2018 is announced at clat.ac.in. Allotment of seats is on basis of merit (obtained in CLAT 2018 Result) and preference (which was entered while filling application form). After seat is allotted, then next step is to pay counselling fee and submit options to either lock or opt for upward shifting. If no option is selected then system automatically locks choice, and if fee is not paid then admission is not considered. There will be three merit lists. A last date to withdraw from admission process will also be announced. 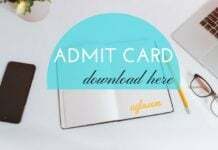 Admission formalities have to be completed at NLUs. Know here everything about CLAT Seat Allotment Result 2018 or CLAT Merit List 2018 first, second, third, fourth. Latest: CLAT 2018 3rd Seat Allotment download is over now. Seat Allotment download is over now…!! Payment of counselling fee and exercising of option by provisionally selected candidates. A specified number of candidates from various categories will be allowed to participate in the counselling process against actual number of seats available with participating NLUs. The provisionally selected candidates must deposit the requisite counselling fee of Rs. 50,000/- with the CLAT-2018 Office. The adjustable counselling fee of Rs. 50,000/- deposited with the CLAT office will be transferred to the respective participating NLUs where the candidate has finally taken admission after the completion of the entire admission process. 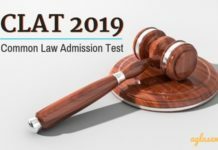 The candidates failing to deposit the requisite counselling fee through the CLAT website by the specified date will lose their right to be considered for admission under CLAT-2018 and their names will be dropped from the CLAT-2018 merit list. The candidates have to reserve their seats after remitting the counselling fee by the above said procedure, prescribed in counselling guidelines given on the CLAT-2018 website. 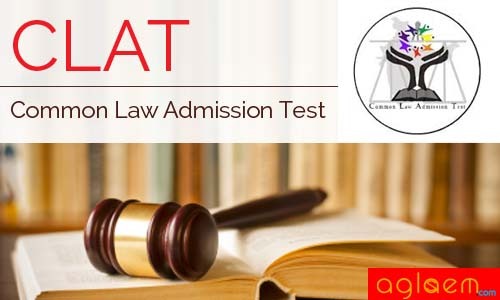 The CLAT Office shall publish a second allotment list of candidates who have paid their counselling fee and reserved their seats in the participating NLUs. The additional waitlisted candidates are also required to pay the requisite counselling fee of Rs. 50,000/- and reserve their seats within the prescribed time period as per the CLAT-2018 calendar. The provisionally selected candidates can withdraw from the admission process within the stipulated time as per the CLAT-20l8 calendar. A nominal fee of Rs. 10,000/- will be deducted from the counselling fee deposited. 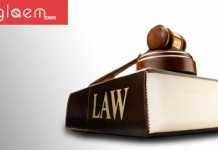 Any withdrawal after the stipulated period will result in forfeiture of the entire amount of counselling fee. A list of waitlisted candidates will also be released along with the third allotment list who are provisionally selected against the dropped out candidates. The additional waitlisted candidates whose names appear in the third list and who have not deposited the counselling fee of Rs. 50,000/- are required to pay full fee to the allotted NLUs at the time of admission. Completion of admission formalities at the allotted NLUs. After the candidates are finally allotted seats in participating NLUs, they will be required to approach the allotted NLU with the balance amount towards the admission and other fees. The candidates shall carry relevant certificates/documents in original issued by the competent authority in support of the various claims made by the candidates, during the scheduled periods given in CLAT-2018 calendar and complete their admission formalities. Students are advised to visit the website of concerned NLUs to see the format of specific desired documents required for admission. The certificates in original will be checked by the respective universities at the time of their admission. (For detailed information/updates about the scheduled dates, the candidates must refer to CLAT-2018 calendar as updated from time to time). Those candidates who fail to report at the allotted NLU after the publication of CLAT merit list and fail to complete the admission formalities as per CLAT-20l8 calendar will automatically lose their claim for admission, and the entire amount of the counselling fee of Rs. 50,000/- will be forfeited. Click Here to check the complete guidelines of CLAT 2018. According to the last year, the break up of seats for UG and PG courses in participating universities NLSIU Bangalore, NALSAR Hyderabad, NLIU Bhopal, WBNUJS Kolkata, NLU Jodhpur, HNLU Raipur, GNLU Gandhinagar, RMLNLU Lucknow, RGNUL Patiala, CNLU Patna, NUALS Kochi, NLUO Cuttack, NUSRL Ranchi, NLUJAA Guwahati, DSNLU Visakhapatnam, TNNLS Tiruchirappalli, MNLU Mumbai and MNLU Nagpur are as follows. Note for 2nd Allotment: – The candidates whose names have been added in the Second Indicative Seat Allotment List against the dropped out candidates are directed to pay the online counselling fee of Rs. 50,000/- up to 5 pm of 15th June 2017. The newly allotted candidates can exercise the options for locking or shifting up to 5 pm of 15th June 2017. The candidates of the First Allotment List who have not yet locked their seats can also exercise their option for locking, if they want, up to 5:00 pm of 15th June 2017. List of Candidates who must deposit Rs. 50,000 to seek Admission under NRI/NRI Sponsored Category is given below.